The perfect way to keep all your keys together, our horse head hook end keyring could make an excellent gift. 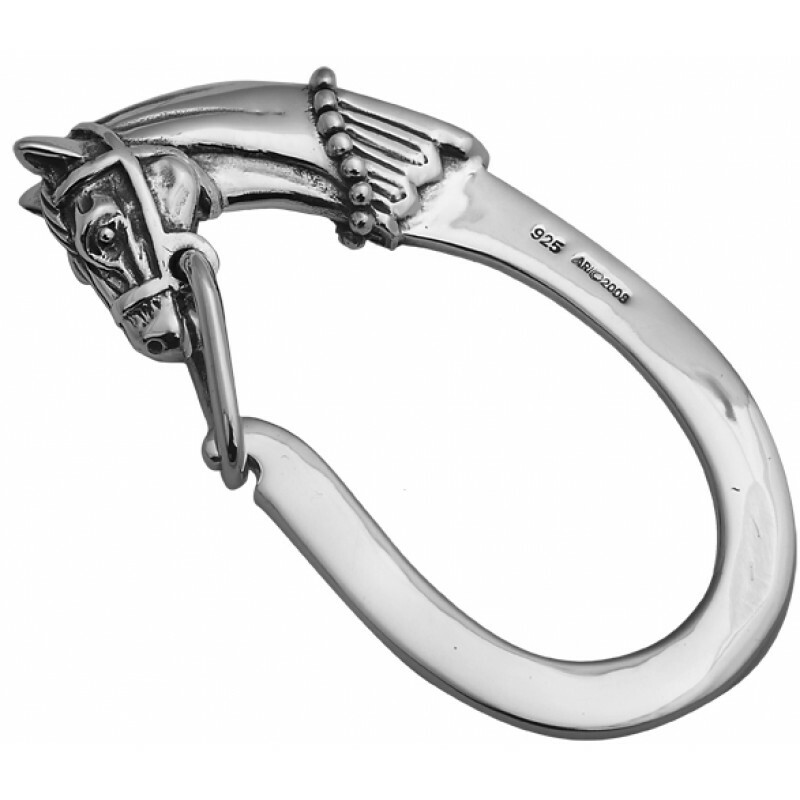 The detailed engraved and embossed horse head has been meticulously crafted by our British Silversmiths and designed with the clasp to appear as reins. 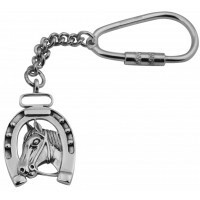 Made from hallmarked sterling silver, this horse keyring can also be personalised with an engraving of your choice.